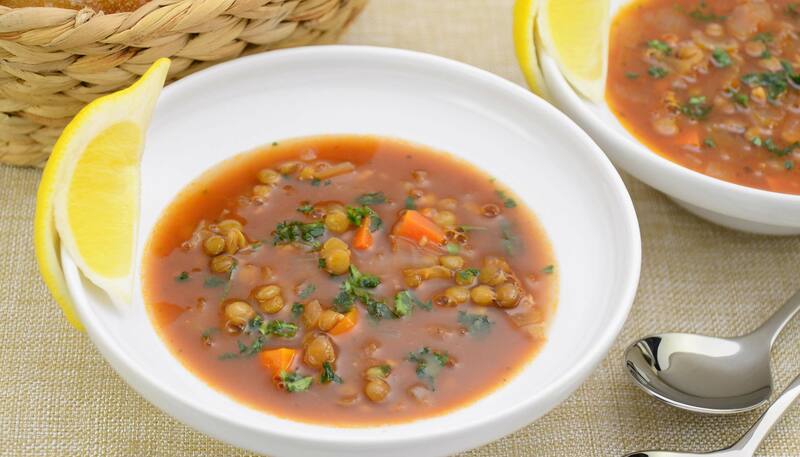 This hearty lentil soup will surely keep you warm and comfortable on those gloomy days. It has a hint of bay leaves with lots of veggies. 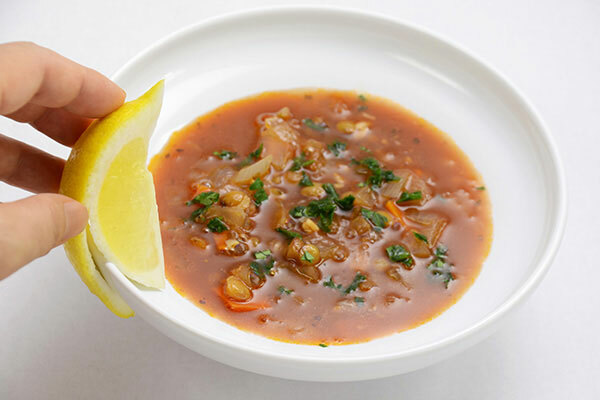 If you've been looking for a vegetarian soup, here's one for you! Heat the inner pan over medium heat. Check its surface temperature by dripping a few drops of water. If they run on the surface, then the pan is ready to cook. 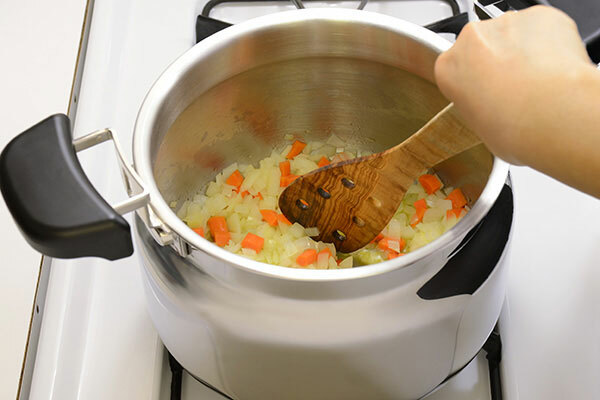 Add olive oil and sauté onion and carrot, and cook until tender. 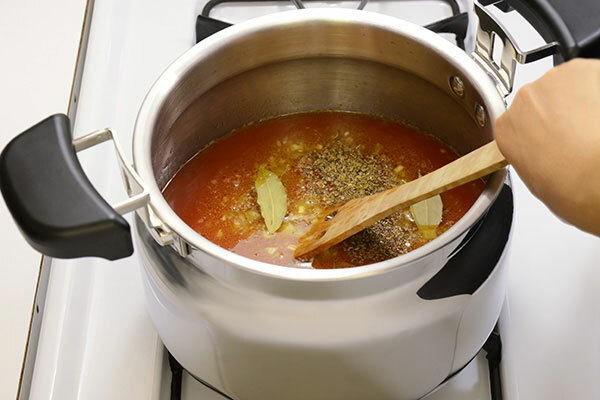 Mix in garlic then pour in the tomato sauce and vegetable stock, add lentils, bay leaves and oregano and bring to a boil. Skim off any scum that forms and discard. 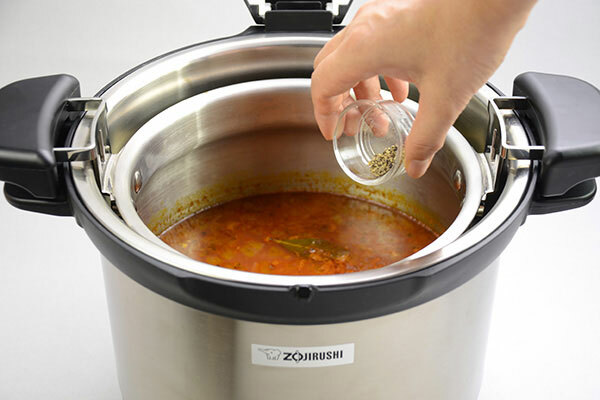 Place the inner pan in the insulated container and keep warm for 1 hour and 30 minutes. After 1 hour and 30 minutes, add salt and pepper and stir well. This can be served immediately or served the next day. 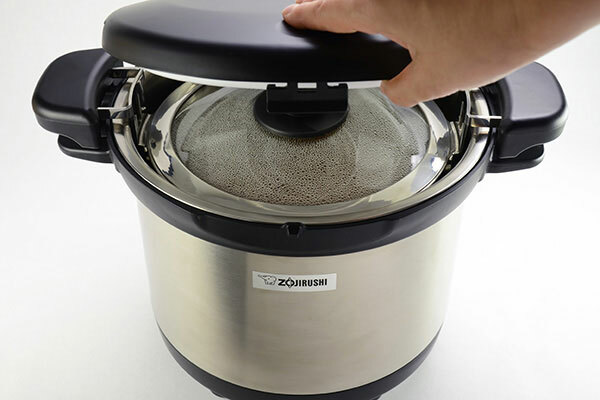 If serving the next day, remove the inner pan from the insulated container and refrigerate. 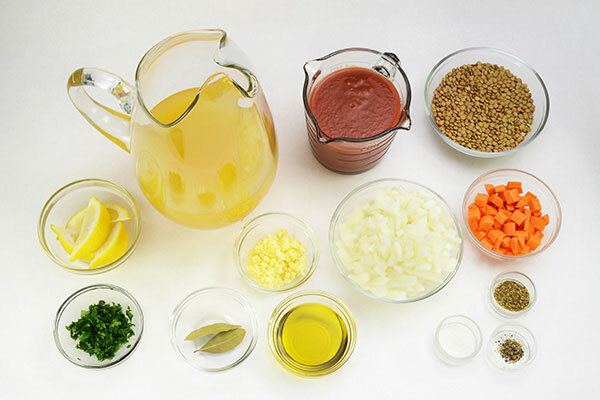 To serve, ladle into bowls and top with parsley and garnish side of bowl with a lemon wedge.